Our signature sauces are amazing if we say so ourselves! Choose one or mix two to add to your meats or sides. They are great on everything. Bussin Sauce– An amazing blend of flavors with smoke flavor! 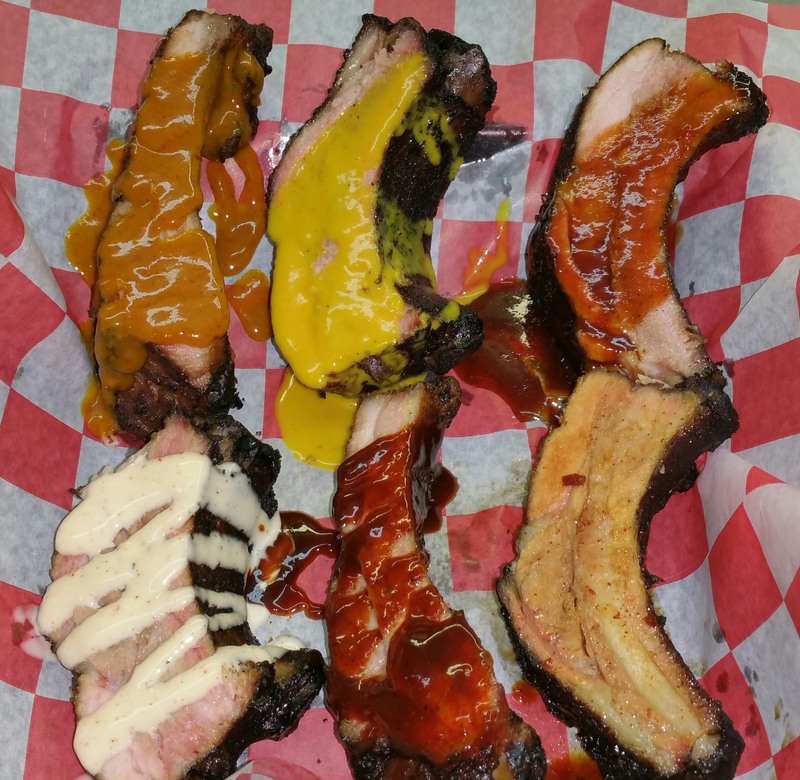 Bang’n Sauce– “Can you handle the bull?”-Starts sweet and ends with a Bang (Spicy)! Great blend of spices with a slight smoke flavor! Sweet Golden Honey-An amazing blend of spices with a hint of honey. Vinegar-Tangy, sweet with a touch of heat. Bull’s White Sauce-Remember the Coca-Cola soft drink of the 1970’s? Now, remove the Cocaine (we don’t want to go to jail) and the Coca-Cola (we don’t want to pay royalties)!